What Do the Numbers on the ‘Handicap’ Row of the Scorecard Represent? Most golf scorecards contain several rows of information. For example, a scorecard will always have the "Hole" row, the numbers 1 through 18 corresponding to the holes being played. Beneath that will likely be at least three more rows (let's say, for example, "Red," "White," and "Blue;" or "Forward," "Middle," and "Back") that identify the tees being played and the yardages for each hole on the course. There is usually also a line identified as "Handicap," or "HCP," a row of numbers that appear to be in random order. What do those numbers mean? How are they used by the golfer? The incomplete answer is that the Handicap row is a ranking of the holes of the golf course in order of difficulty, from the most difficult (1) to the least (18). But the complete answer is a more nuanced than that. So let's explore. The "Handicap" line of the scorecard rates the holes for use by golfers who carry a handicap index. 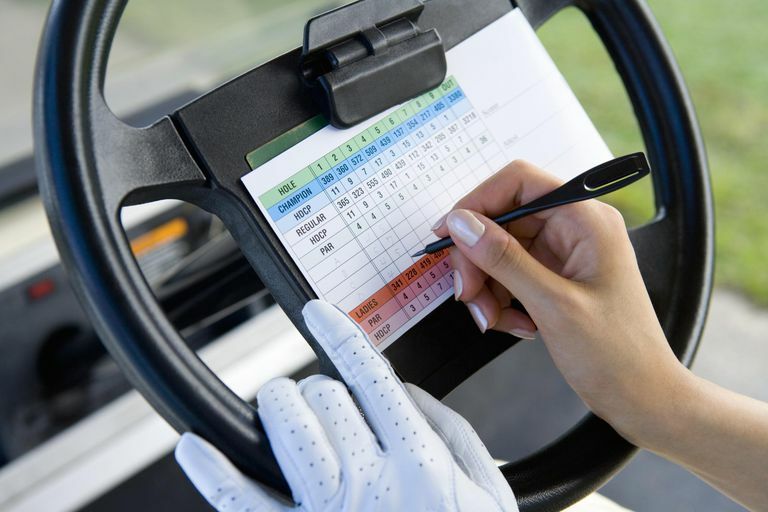 The handicap index is used to produce a course handicap, and the course handicap tells golfers how many strokes they get to take off their gross scores to produce a net score. Remember, the purpose of the handicap system is to allow golfers of different playing abilities to play fair matches against one another. If I have a handicap of 27 and you have a handicap of 4, you'll beat me every time if we are using our gross (actual) scores. The handicap system produces a net score by allowing the weaker player to reduce his score—to "take a stroke" as it's called—on designated holes. The "Handicap" line of the scorecard is how those holes are designated. The hole identified as "1" on the handicap line has been rated the hole where a golfer is most likely to need a stroke in competition against a better player. The hole identified as "2" on the handicap line is the second-most likely hole where a stroke will be needed, and so on. If you get to take 11 strokes, then you find the 11 highest-rated holes on the handicap line, and take one stroke on each of those holes. If you get to take 18 strokes, then you get one stroke on every hole. What If Your Course Handicap Is Higher than the Number of Holes? What if your course handicap is higher than 18? Then you get to take two strokes on some (possibly all, depending on how high your course handicap is) holes, one on other holes. Let's say you get to take 22 strokes. Obviously, you'll get at least one stroke on each of the 18 holes on the course; but you'll also get a second stroke on the four highest-rated holes on the handicap line of the scorecard. So on the holes designated 1, 2, 3 and 4 on the handicap line, you'll take 2 strokes each; on the other holes, you'll take 1 stroke each. And if you get to take 36 strokes, you'll take 2 strokes per hole. And that's how the "Handicap" line of the scorecard is used. Now, how do you know how many total strokes you get to take in order to make use of the handicap line? That's simply a function of course handicap. If your course handicap is 18 and you're playing just to post a score for handicap purposes (you're not playing against someone in a match, in other words), then 18 is how many strokes you get to take. If you are playing against someone in a match, then the golfers play off the low handicap of the group. For example, let's say there are three golfers in the group; one is a 10 handicapper, one is a 15, one is a 20. The 10-handicapper will play at scratch (no strokes), the 15-handicapper will get 5 strokes (15 minus 10) and the 20 handicapper will get 10 strokes (20 minus 10). It may sound complicated now, but once you've used course handicaps one or two times, it will seem as simple as can be. Alternate Designations: The Handicap row on the scorecard might be designated as "HCP" or "HDCP," and you might see two handicap rows if a golf course has rated its holes for both men and women. In areas not using the USGA Handicap System, the Handicap row might have another name—such as "Index" under the CONGU system in the UK. But so long as your part of the world uses some kind of handicapping system, the equivalent of a Handicap row should appear on your scorecard. What Is a Net Score in Golf and How Do You to Calculate It? Do You Know How to Play an Ambrose Competition in Golf? 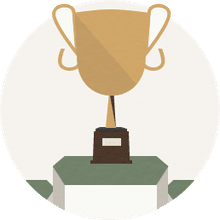 Do You Know What a Golf Handicap Is? What Is the Highest Handicap a Golfer Can Have? Are 'Handicap' and 'Handicap Index' the Same Thing in Golf? What Is Adjusted Gross Score in Golf...and Do You Need to Care? How Many Golf Scores Does It Take to Establish a Handicap?